Caitlin Roche makes a break down the court during the game against Paramus Catholic on Wednesday, March 11th. 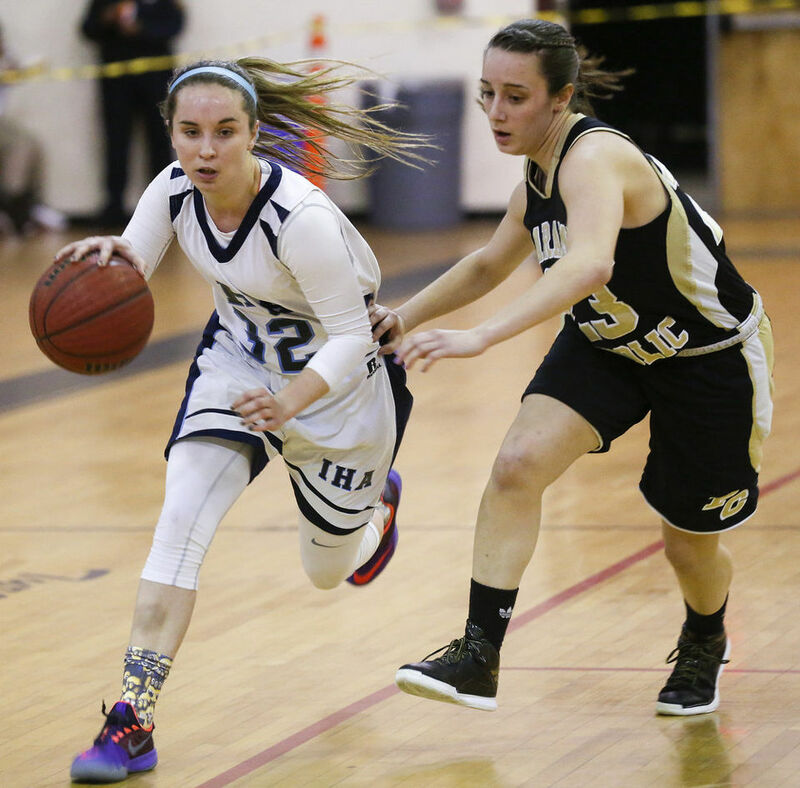 IHA earned the title of North Non-Public A Sectional Champs with a 61-37 victory. IHA faced Paramus Catholic in the North Non-Public A title game on March 11, 2015. The Blue Eagles were able to keep their 23 winning game streak alive with a 61-37 victory over PC. Some key players in this important game included Caitlin Roche, Alexandria Mesropyan and Jordan Wilmouth who were all able to add to the team’s impeccable performance. “We looked pretty polished,” Coach Silver said. This game was not the only victory over Paramus Catholic. IHA had already beaten the Paladins three times over the course of the season, but that did not take away from the excitement. Everyone at IHA is very proud of the sectional champions and cannot wait to see what they accomplish again next year. IHA Holds Annual Fashion Show Fundraiser: See the Photos!